So, if you’ve been following our posts, you know that our parents bought a home in Huntingdon Beach back in April and they asked Laurel and I to help them renovate it. They wanted it done fairly quickly so that they could enjoy some of the fall season down there. Ok…confession time….the first time we saw that house, Laurel and I were wondering what my parents had gotten themselves into! My dad has been in construction since 1971 and he had always built his homes. 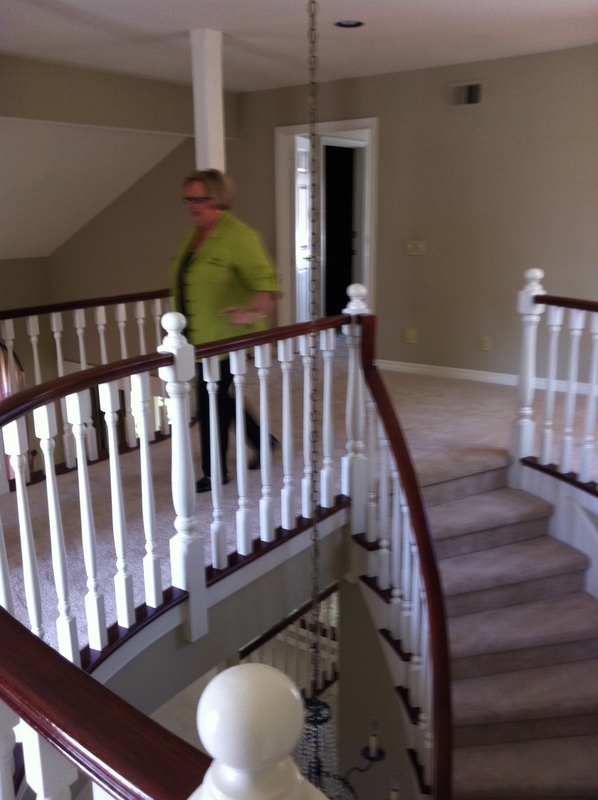 Now, we were dealing with a 20 year old home with a pretty hideous interior. But dad said it had “good bones” and they were satisfied with the layout, so the renovation would be cosmetic in nature only. We must admit that it was difficult at times to deal with a renovation from such a great distance…I’m sure it was much more frustrating for dad than it was for us. But we are very pleased with the results. 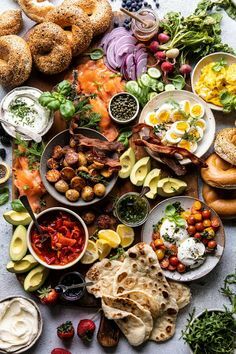 And we enjoyed the fruits of our labour and our parents hard work in getting the house ready for us to enjoy a quick vacation in the middle of November! 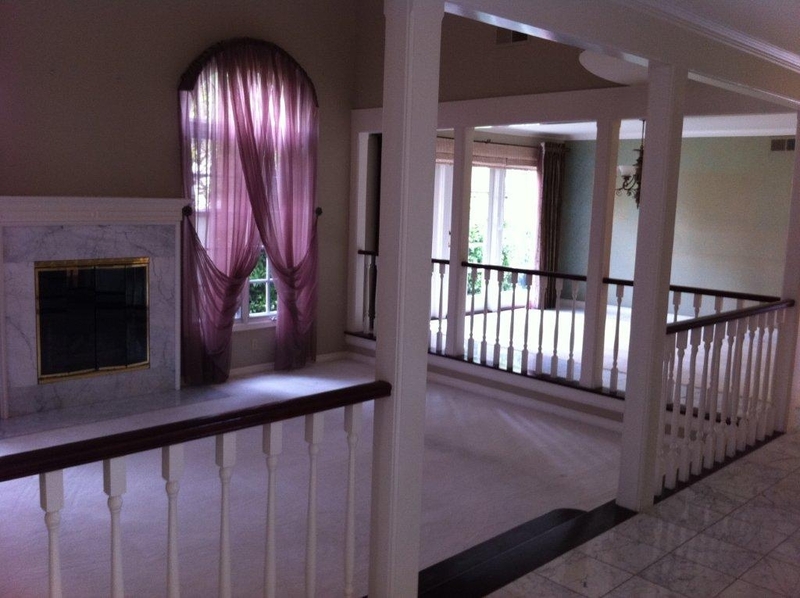 Here are the befores and afters! 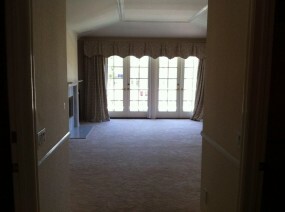 Before - those curtains had to go!! The spindles all around the living room made it feel a bit like a jail. 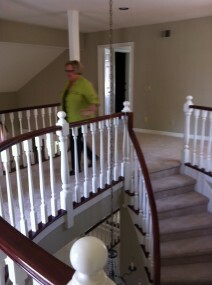 After - we took out all of the railing and added a shallow stair around the room. We replaced the carpet with travertine. 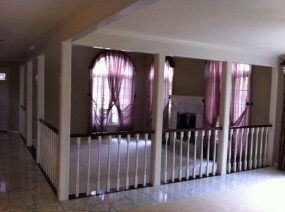 After - we removed all of the curtains and put in blinds. 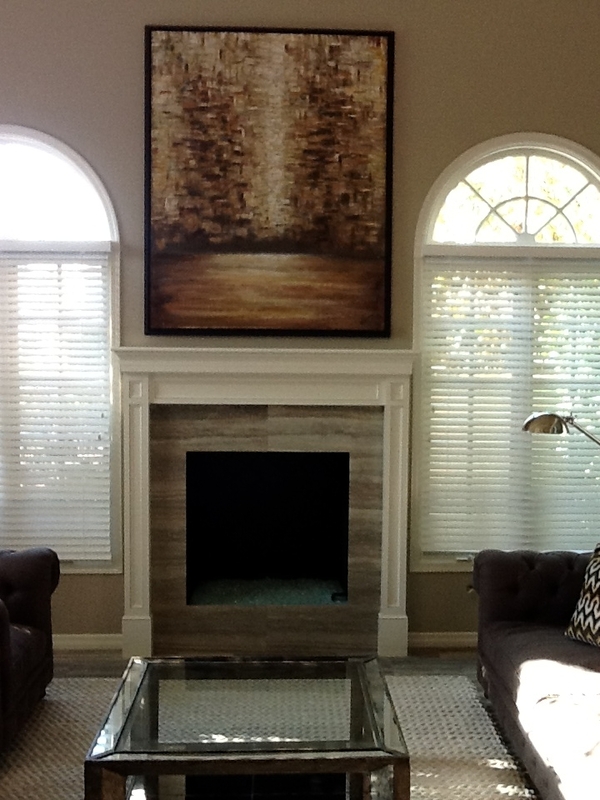 We also replaced the fireplace surround with travertine. Before - the light, carpet, drapes and wallpaper all had to go! 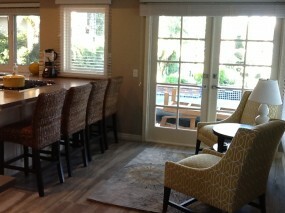 After - all of the flooring on the main floor was replaced with 12" x 24" travertine. 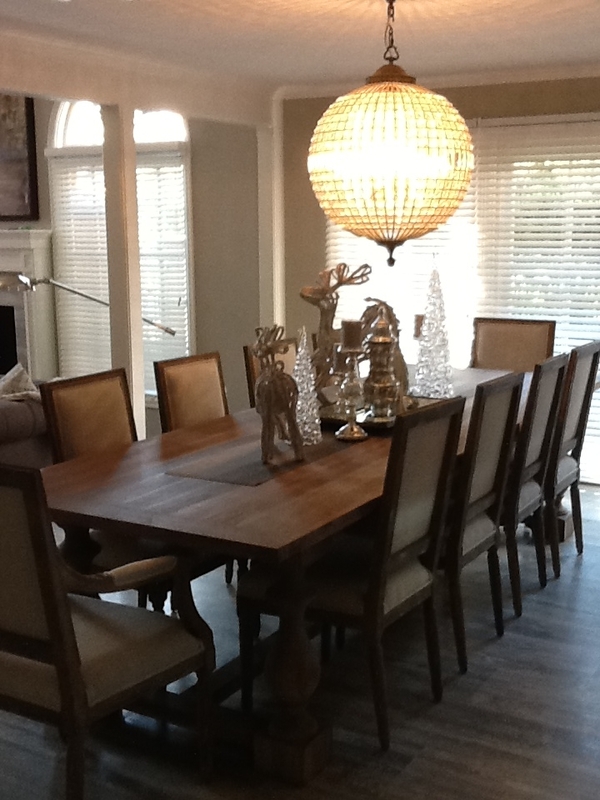 The furniture and chandelier are from Restoration Hardware. 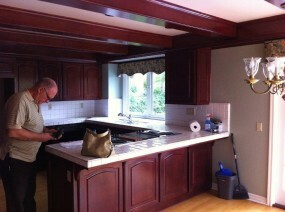 Before - the kitchen was extremely dark with the low, red oak beams and the cabinets screamed 1980! 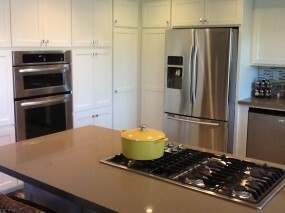 Before - the appliances were in desperate need of updating. 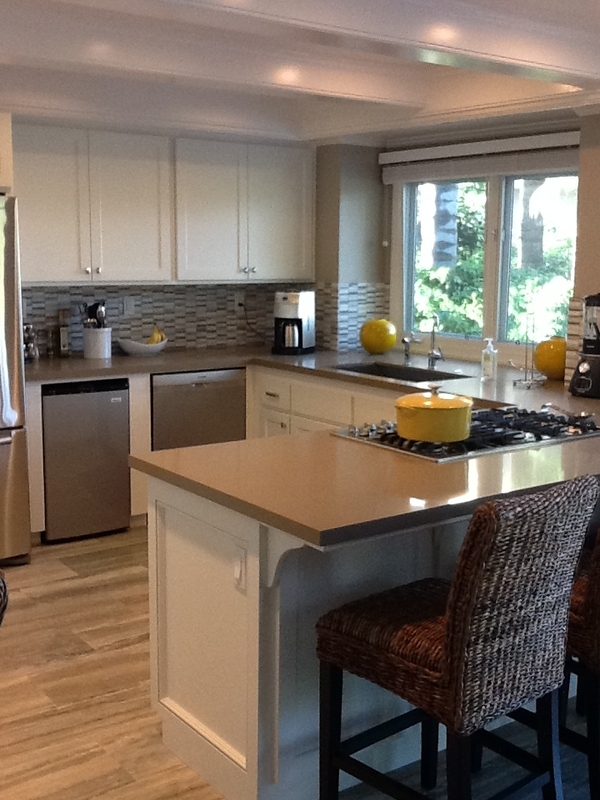 After - the basic layout of the kitchen remained the same. We replaced the cabinet doors, and painted the frames white. Countertops were replaced with Caesarstone and the backsplash was updated with a modern marble mosaic. Just painting the ceiling beams white opened up the space tremendously. 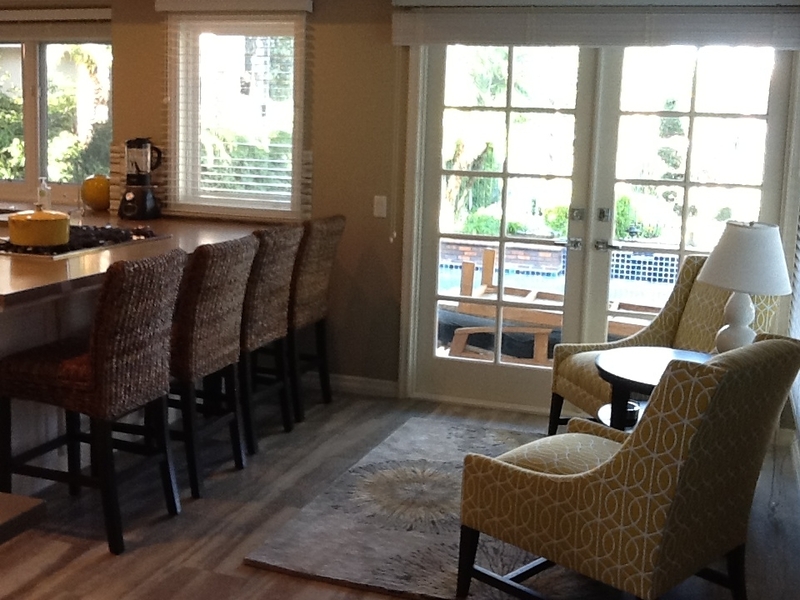 After - the eating area was so small and encroached on the french doors to the pool, so we bought these two yellow chairs from Crate and Barrel and created a "Starbucks-like" lounge in the nook. After - all of the appliances were replaced including double wall ovens, a gas cooktop, fridge, compactor, and dishwasher. 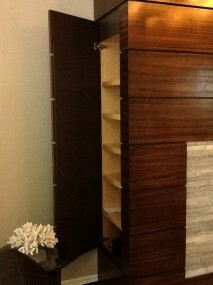 We also converted a cabinet to include a bar fridge. 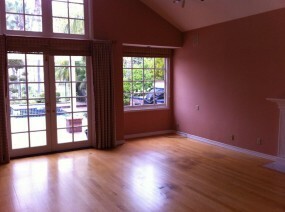 Before - the family room was a scary peach colour. 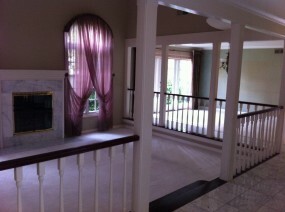 The maple hardwood floors were badly damaged. After - we created a focal point around the fireplace. 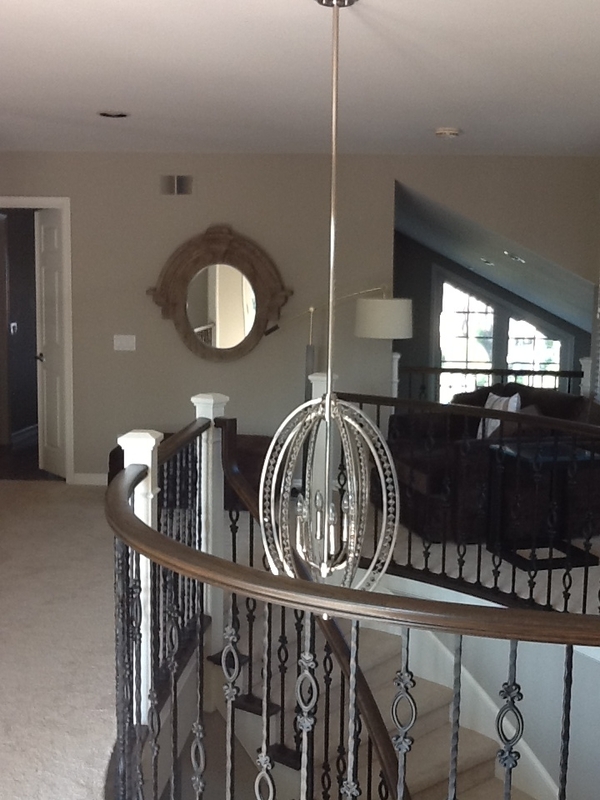 The light is from Restoration Hardwood. We have two leather couches and two recliners from Crate and Barrel in it. 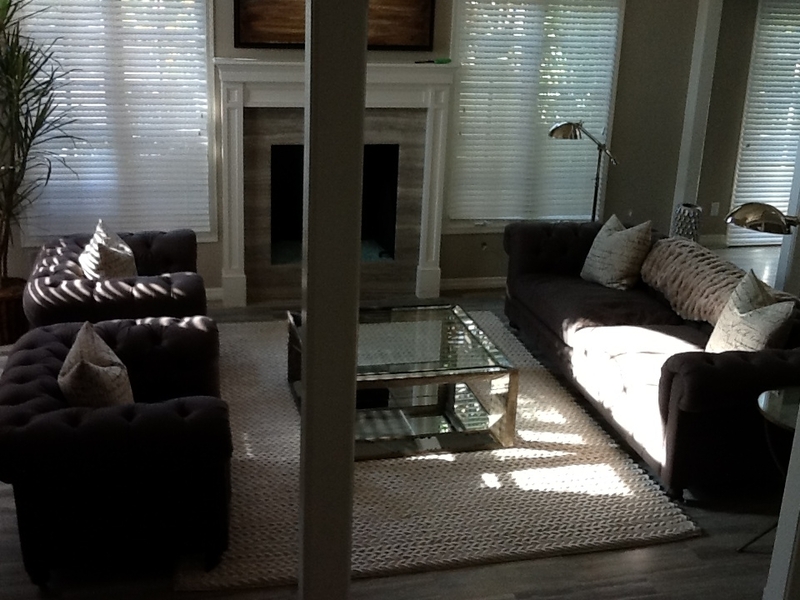 The coffee table is from Z Gallerie. 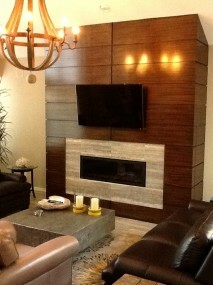 After - The entertainment unit was built out of zebra wood and makes a dramatic statement. 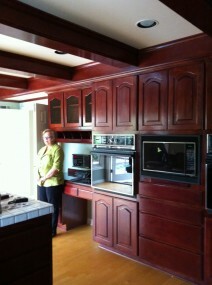 We had built in shelves created on both sides to house all of the AV equipment. 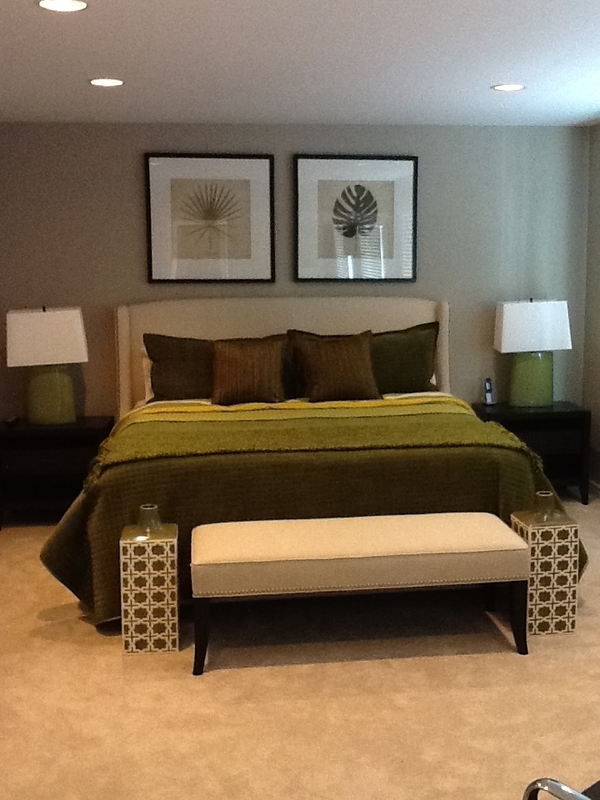 Guest Bedrooms – I wish I had before pics, but I don’t! Here are the afters…. 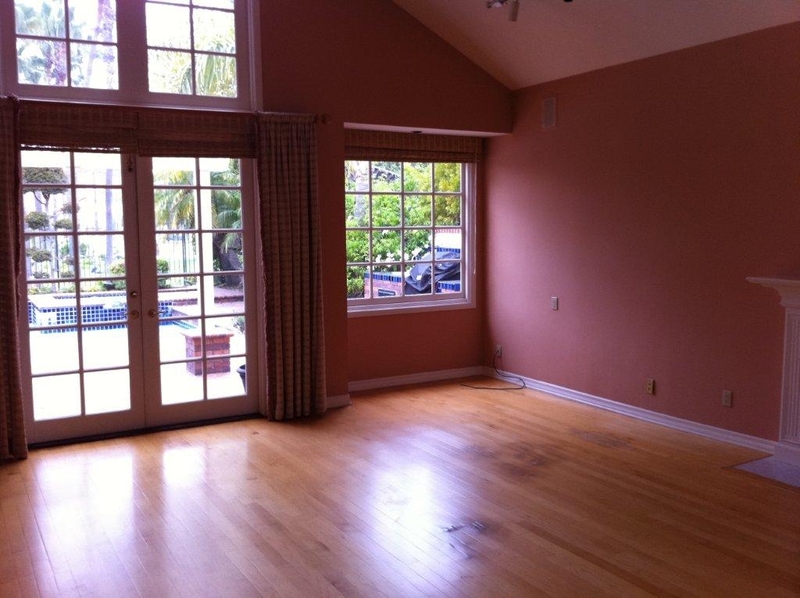 We call this the second master because it's a good size & has a desk area and tv area. 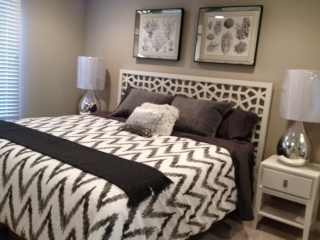 Bed from HauteLook. 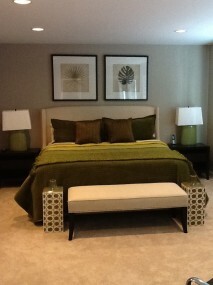 End tables, bench, bedding and lamps from Crate and Barrel. We call this the charcoal room. 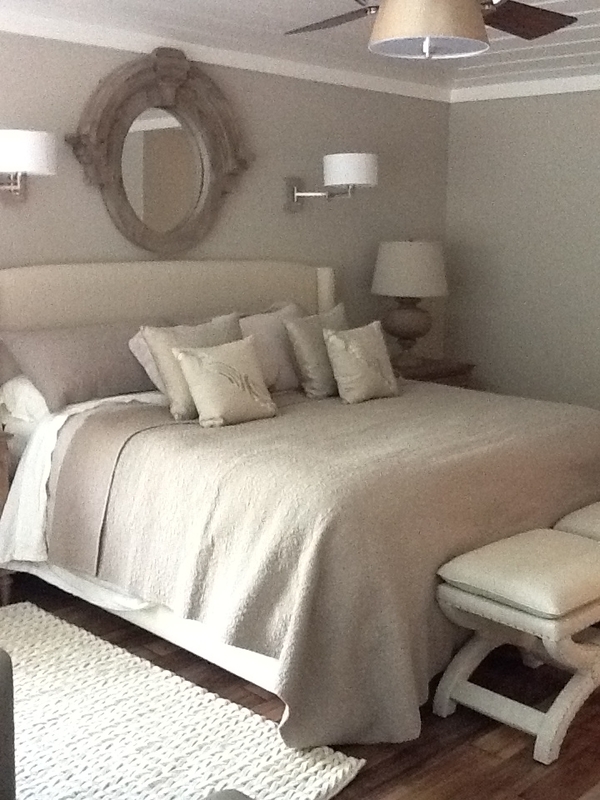 The bed, night tables, lamps and bedding are from West Elm. Before - the curtains were once again brutal! 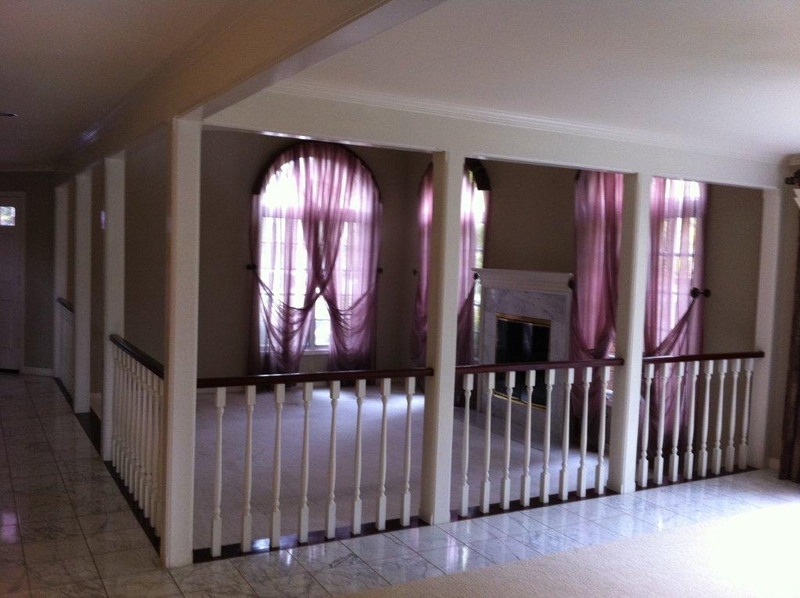 The tray ceiling was wallpapered. 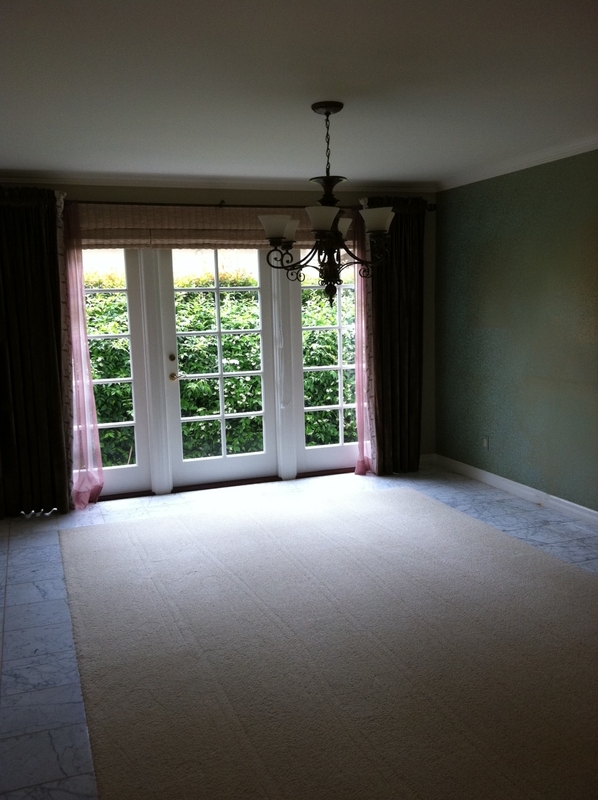 After - We replaced the carpet with an engineered white-washed wood floor. 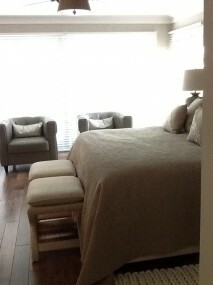 The benches at the end of the bed are from Restoration Hardware, the chairs are from West Elm. After - the bed was purchased from HauteLook. The bedding is from Restoration Hardware. 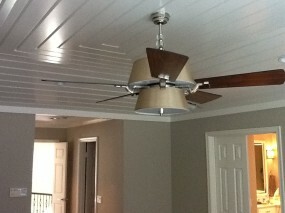 After - we panelled the tray ceiling to create a beachy feel. It's hard to find a stylish ceiling fan, but we really like this one. 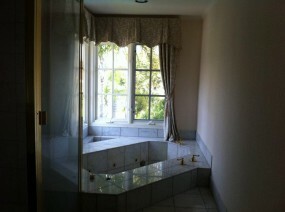 Before - this ensuite lacked any style. The dark cabinets dated the space. 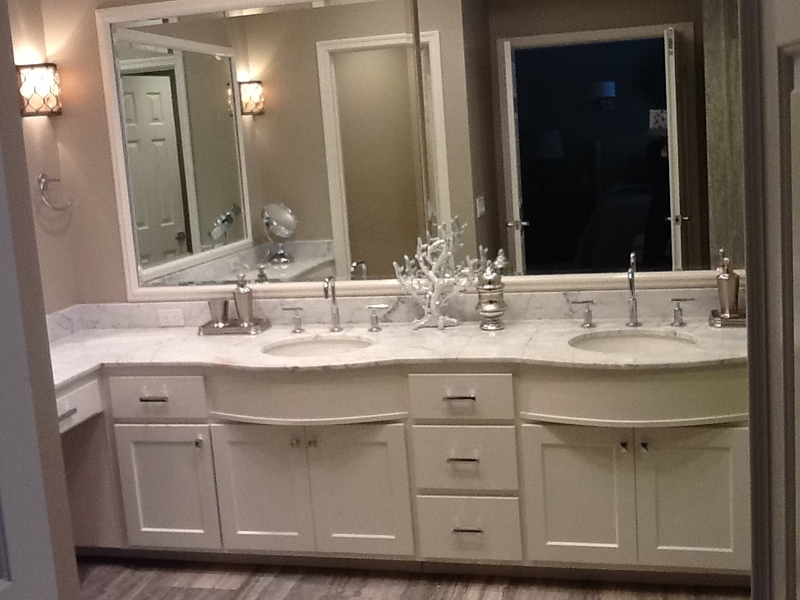 After - we replaced the flooring with travertine, added white cabinets doors and painted the existing frames. 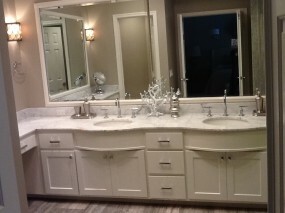 We also kept the original marble countertops. 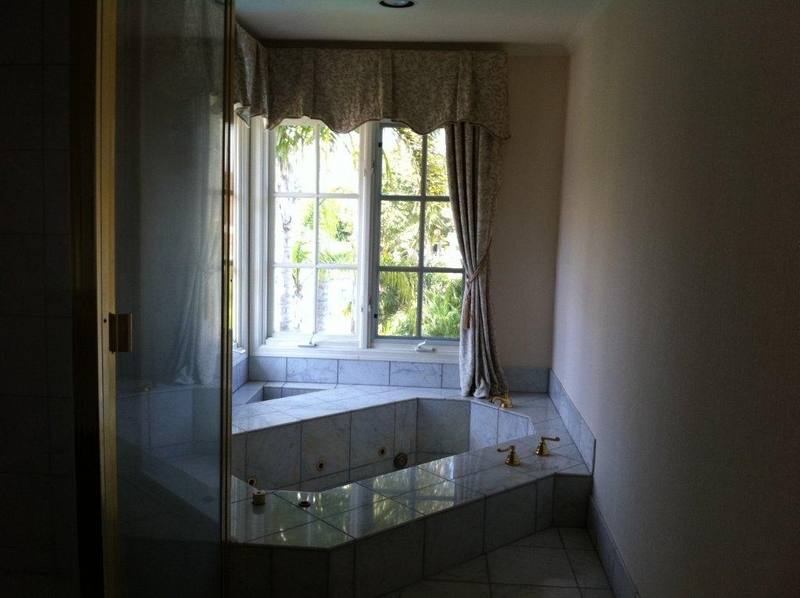 Before - I have NEVER seen a tub like this before. Super dicey! 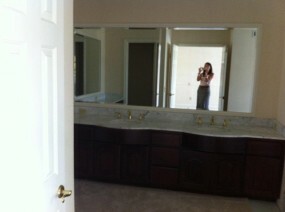 The contractor called it a baptismal tank! 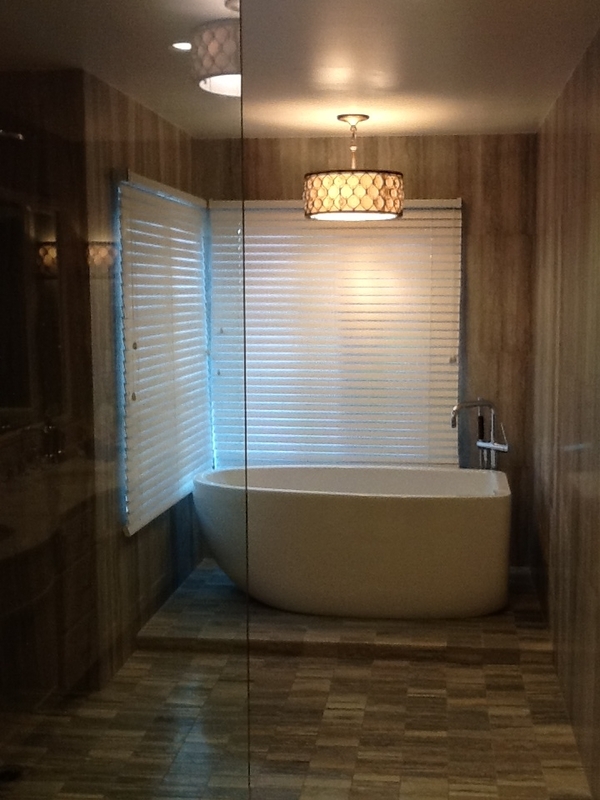 After - we removed the large step up and added this beautiful freestanding tub. The shower is to the left. All of the walls in the "wet" area are tiled with travertine. This is now an oasis!